Tweetwalls displaying Twitter tweets and photos on the screens of businesses and events. Step by step guide to learn how to display Twitter videos on screens with our free tweetwall application. Yarr TV allows you to display Twitter videos on screens for free: access https://www.yarr.tv/create/yarr-tv/ and enter a hashtag such as #soccer, add your email address and click on CREATE MY FREE YARR TV BASIC. Just click on PLAY FULL SCREEN and PLAY to start streaming real-time Twitter videos on your screens. Step by step guide to learn how to display Twitter GIFs on screens with our free tweetwall application. 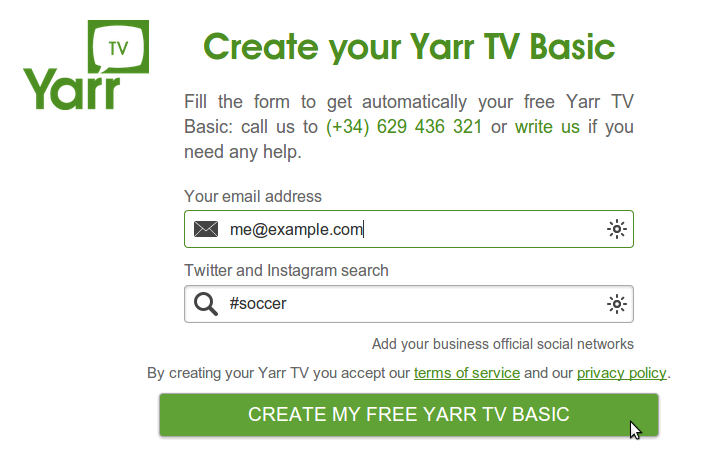 Yarr TV allows you to display Twitter GIFs on screens for free: access https://www.yarr.tv/create/yarr-tv/ and enter a hashtag such as #soccer, add your email address and click on CREATE MY FREE YARR TV BASIC. Just click on PLAY FULL SCREEN and PLAY to start streaming real-time Twitter GIFs on your screens. Step by step guide to learn how to create and setup a tweetwall for events with our free application. Yarr TV allows you to display Twitter tweets and photos on screens for free: access https://www.yarr.tv/create/yarr-tv/ and enter a hashtag such as #soccer, add your email address and click on CREATE MY FREE YARR TV BASIC. Just click on PLAY FULL SCREEN and PLAY to start streaming real-time Twitter tweets and photos on your screens. Step by step guide to learn how to display Twitter hashtags on screens with our free tweetwall application. Yarr TV allows you to display Twitter hashtags on screens for free: access https://www.yarr.tv/create/yarr-tv/ and enter a hashtag such as #soccer, add your email address and click on CREATE MY FREE YARR TV BASIC. Just click on PLAY FULL SCREEN and PLAY to start streaming real-time Twitter hashtags on your screens. Step by step guide to learn how to display Twitter searches on screens with our free tweetwall application. 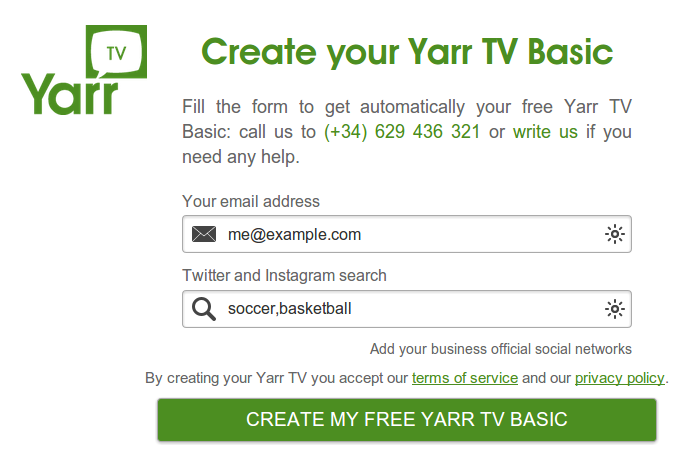 Yarr TV allows you to display Twitter searches on screens for free: access https://www.yarr.tv/create/yarr-tv/ and enter a search of 2 words such as soccer and basketball separated by a comma, add your email address and click on CREATE MY FREE YARR TV BASIC. Just click on PLAY FULL SCREEN and PLAY to start streaming real-time Twitter searches on your screens. Step by step guide to learn how to display Twitter photos on screens with our free tweetwall application. 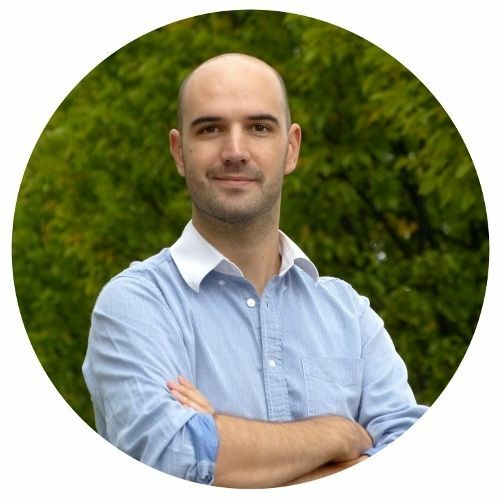 Yarr TV allows you to display Twitter photos on screens for free: access https://www.yarr.tv/create/yarr-tv/ and enter a hashtag such as #soccer, add your email address and click on CREATE MY FREE YARR TV BASIC. Just click on PLAY FULL SCREEN and PLAY to start streaming real-time Twitter photos on your screens. Step by step guide to learn how to display Twitter tweets on screens with our free tweetwall application. Yarr TV allows you to display Twitter tweets on screens for free: access https://www.yarr.tv/create/yarr-tv/ and enter a hashtag such as #soccer, add your email address and click on CREATE MY FREE YARR TV BASIC. 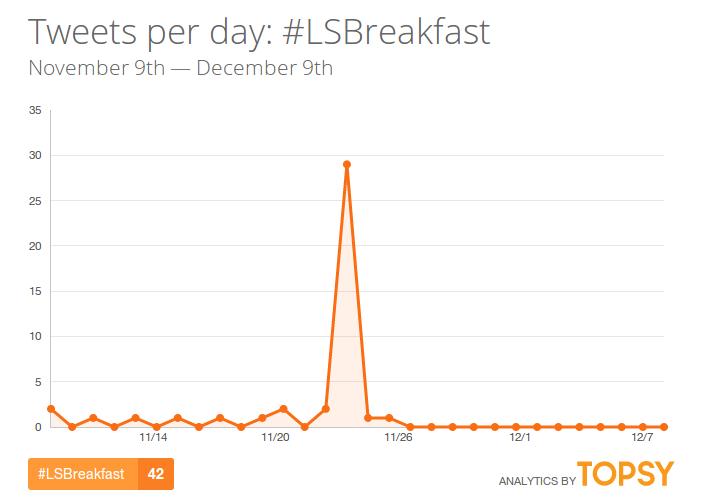 Just click on PLAY FULL SCREEN and PLAY to start streaming real-time Twitter tweets on your screens. Galp #EnergiaPositiva event was celebrated on the 11th of October in Madrid and brought together a big number of celebrities. Yarr TV tweetwall boosted the brand’s hashtag by projecting tweets and Twitter photos of the attendees on the screens of the event.